What is the TicWatch E2? Mobvoi is back with sequels to its TicWatch S and TicWatch E – two crowdfunded Wear OS-powered smartwatches that managed to hit a low price point. Once again launching two models, the TicWatch E2 is the follow up to the slightly less sporty TicWatch E. But beyond some physical design differences and the added ruggedness of the S2, there’s not a lot of difference between the two. Both models pack in the same performance and specs, and the addition of a swim-friendly water-resistant build and longer battery life. All of this for £144 makes the TicWatch E2 a compelling prospect for anyone looking for a Wear OS smartwatch. The TicWatch E2 is going to appeal to anyone that likes a watch with a big face. At 46.9mm it’s definitely on the larger side, but that’s to accommodate the 1.39-inch display. The design isn’t drastically different from the TicWatch E but one big change is that the button has moved from the left of the display to the right, which is more standard for smartwatches (and my preference). There’s a bit more visual flourish around the watch’s case. The bezel around the display also has a ridged effect to it now. It’s subjective but I slightly prefer the more understated look of the original TicWatch E. The TicWatch E2 is still a good-looking watch overall. The watch casing is made from polycarbonate, which feels robust and handled a few clumsy knocks against surfaces. While I couldn’t find an official weight, I popped the TicWatch E2 on some kitchen scales to find it weighs 55g, which is about as much as a Huawei Watch 2. As such, it’s pretty comfortable overall. It is, however, a chunky beast of a smartwatch. I’ll be the first to say I’ve got wrists on the smaller side, but even then I still actually prefer big watches. The TicWatch E2 is very thick, however. At 12.9mm, I find myself struggling to button my shirt cuffs around it, and it gets caught on my jacket frequently. Its size can mean actually getting to the watch to see an incoming notification can be problematic. Still, your experience may differ if you have larger wrists and clothes. 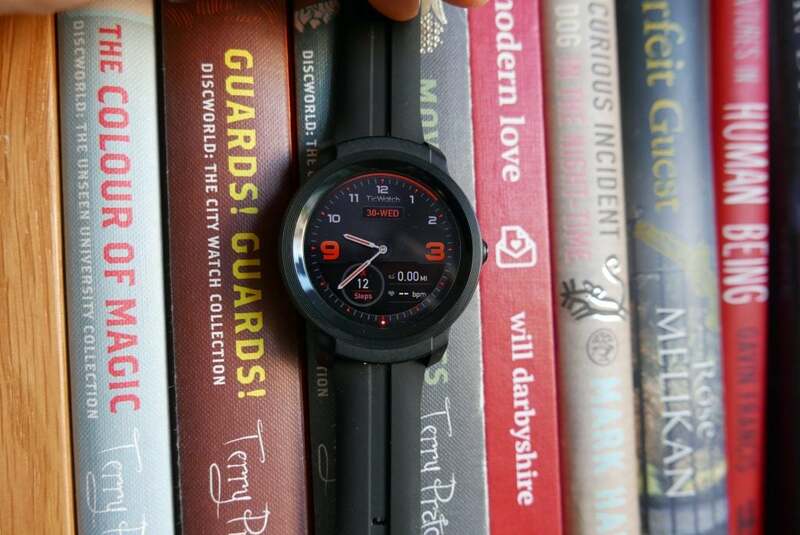 The TicWatch E2 is the same thickness as the Samsung Gear S3, which I also found too big (but many readers did not). The TicWatch E2 is now water-resistant to 5ATM or 50 metres. That means it’s safe to swim and surf with or, at the very least, take in the shower without any worries. The watch takes standard 22mm straps, so you’re free to swap the standard silicone number out if you want to add a bit of personal flair. It uses quick-release bars, too. While the TicWatch E2 isn’t the ‘sporty’ model, the included silicone strap is absolutely fine for exercise. It copes with sweat and moisture well, and it has a nice amount of stretch to it. There are two loops for keeping the excess strap from flapping around, which is appreciated. Flip the watch over and there’s a heart rate monitor and charging pins that work with the magnetic charger. The fully circular 1.39-inch AMOLED display has a 400 x 400 resolution that leaves you with few complaints – especially for this much money. 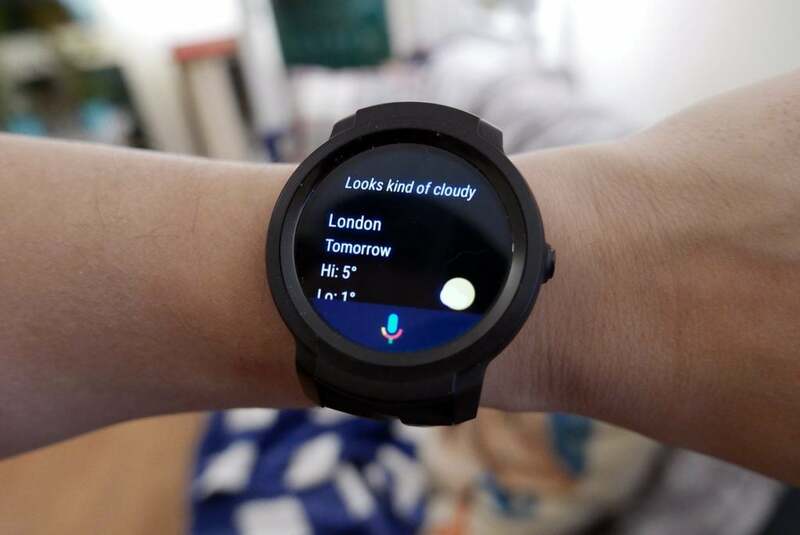 There have been more expensive Wear OS smartwatches with lower resolution screens. It’s plenty sharp and is decently bright, meaning I didn’t have any difficulties reading the display in the bright winter sun. There’s also a low-powered always-on display providing basic information when the display isn’t in use. I found the wake gesture when rotating my wrist worked a lot more consistently than with the TicWatch S, too. With only one hardware button, you’ll be interacting with the touchscreen a lot. 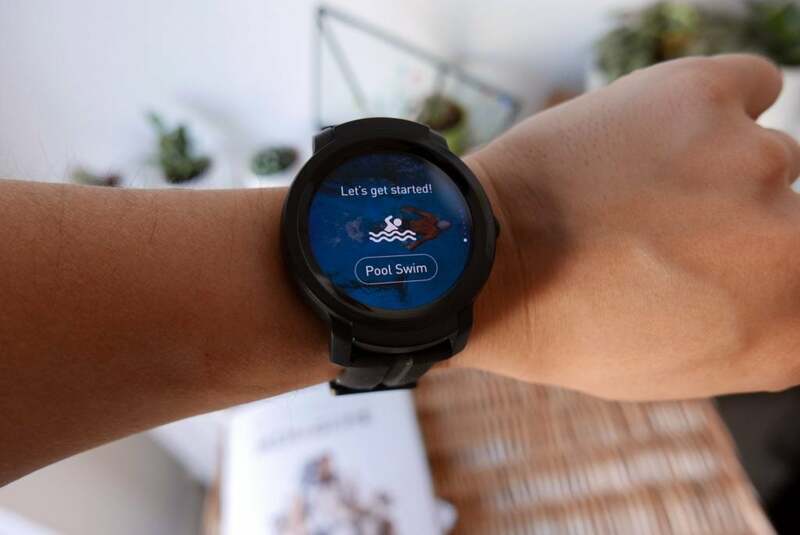 This comes with some issues in certain scenarios, one of which is the TicWatch E2’s headline features – its swim-proofing. With a wet screen and wet fingers, the touchscreen’s responsiveness goes downhill. It’s here some extra buttons or a rotating bezel might have been useful. 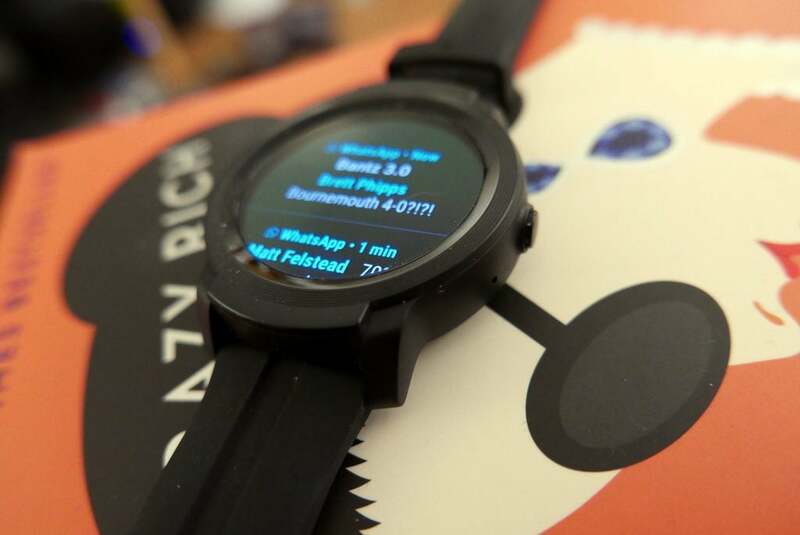 Internally, the TicWatch E2 is pretty paint-by-numbers when it comes to Wear OS smartwatches. There’s a Qualcomm Snapdragon Wear 2100 chip inside, alongside 512MB of RAM and 4GB of storage. That’s identical to the vast majority of Wear OS smartwatches in the last year. It’s perhaps a small shame Mobvoi hadn’t waited a little while to perhaps release the TicWatch E2 with a newer Snapdragon 3100 SoC, but for the money it’s understandable. 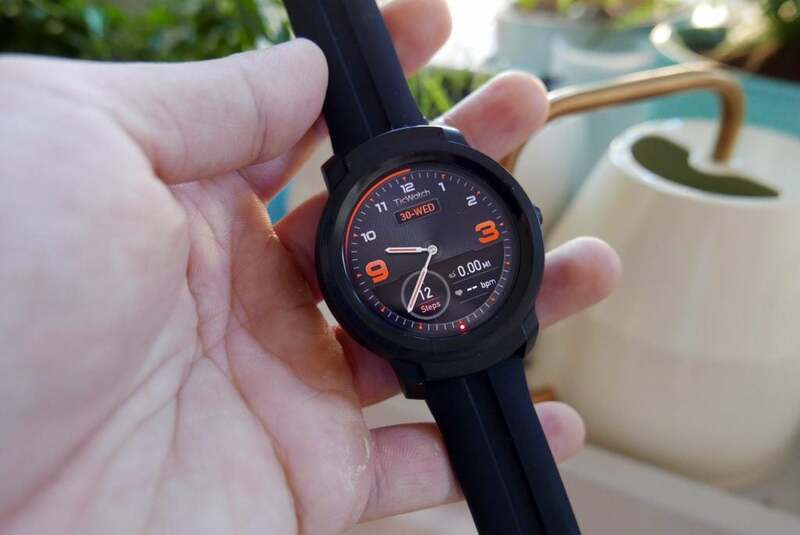 It is at least a step up from the MediaTek chip found inside the original TicWatch E.
With such specifications, you’re generally not left wanting for responsiveness. Wear OS apps open at the same rate I would expect from any other smartwatch with these components. As it’s running the latest version of Wear OS, the slightly tweaked UI is present, which is much more reliant on swiping in from the edges of the screen to access different elements. Swipe up and you get your notifications, swipe right and you get a Google Now-esque set of information cards and access to the Google Assistant. Incoming notifications are better presented now, and messages from apps like WhatsApp give you context-sensitive quick reply options. You get a nice and strong vibration from the watch so you don’t miss your notifications too. The one feature that is sorely missing from the TicWatch E2 is NFC payments. Without an NFC chip inside, there’s no support for Google Pay contactless payments – arguably one of the best and most convenient use cases for any smartwatch. Again, its omission is a little easier to excuse considering the budget-friendly price, but it doesn’t stop me missing it. 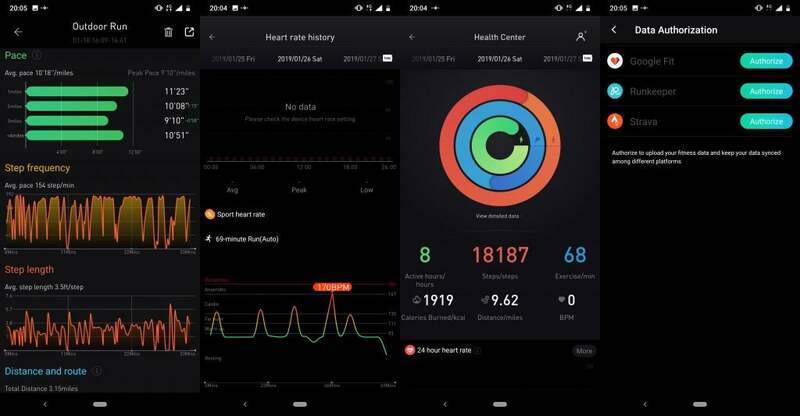 With the usual accelerometer and heart rate monitor onboard, you have access to the standard fitness tracking seen on anything from £20 fitness trackers to a £400 Apple Watch. There’s standard step counting, for which you can set a target each day. By default, this is an industry-standard 10,000 steps. You can also get a nudge to get in extra steps if you’ve not hit at least 250 steps for your chosen active hours, which is always handy for those of us desk-bound. What is missing at launch is sleep tracking. There’s nothing built-in to capture your sleep data overnight. Mobvoi has at least said this is coming as an update. Beyond the basics, there is built-in GPS for those wanting greater tracking accuracy for their outdoor workouts. I took the TicWatch E2 for a few test runs alongside a Fitbit Ionic, and it held up pretty well. There was only a small discrepancy when it came to distance, with the TicWatch E2 being about 100m off, which can easily be explained away by the dense tree coverage along some of the route. Heart rate monitoring was also generally in line, with only a few BPM difference in terms of the average. Glancing at both watches after a brief sprint and the Ionic was quicker at taking an updated reading, however. Still, for anyone looking for basic sports tracking, the TicWatch E2 does a decent enough job of covering the fundamentals. Just don’t expect any deeper training or recovery insight. 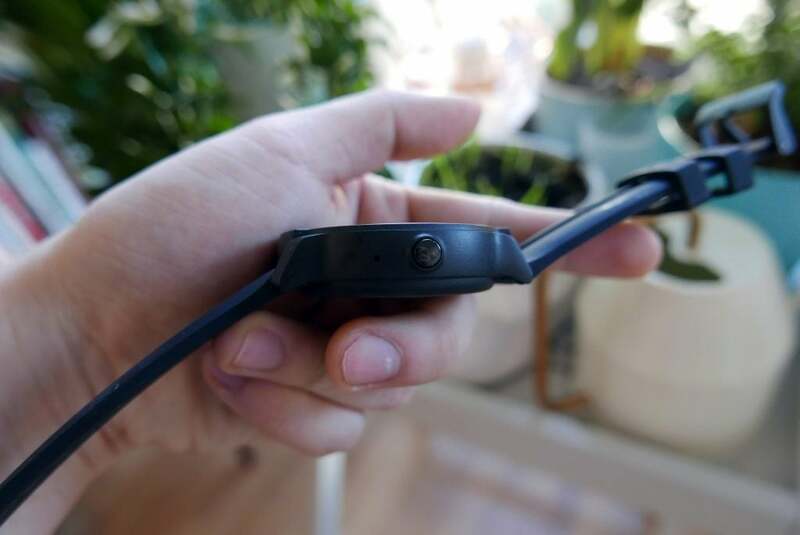 The automatic exercise tracking, which Mobvoi calls TicMotion, also works pretty well, starting a run automatically when it detects constant motion. You have a choice of either using the TicWatch Exercise watch app or Google Fit. The former does integrate with other services like Strava, so you can output the data elsewhere. The addition of water-resistance means the TicWatch E2 can also track laps of a swimming pool. You’re able to set a custom pool length for anyone not in a standard pool, and the E2 is able to identify different stroke types. It also worked pretty well during a test swim but, as mentioned, a touchscreen and water aren’t a great pairing. Mobvoi promised ‘up to 48 hours’ of battery life from the TicWatch E2, similar to what it promised with the original generation watches. Unfortunately, for the second time it’s come up short. Realistically, with the always-on display turned on, and basic everyday use without GPS, I was seeing about a day and a half of stamina all in. After 24 hours off charge, the watch would be at about 38%. It’s a shame it can’t quite make it to that second evening, which Wear OS watches like the Huawei Watch 2 could just about manage. Still, it gets comfortably over a day, so with a tactical quick charge the next morning, you should be fine. If you’re planning on using the GPS, you’ll have to top up more frequently. About 30 minutes of GPS tracking took the battery down 10%. I’m pleased to say the charging mechanism is greatly improved over the last generation’s watches. It’s now a large puck-sized dock that the watch sits in and is held in by magnets. 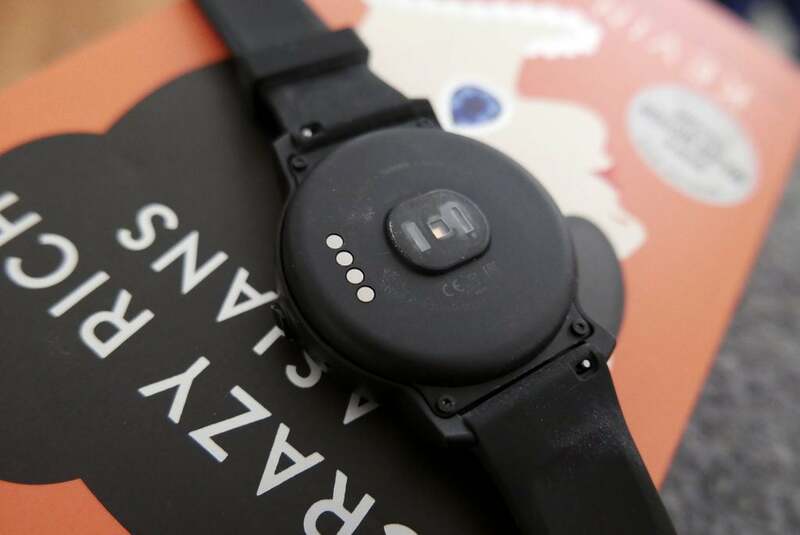 It means the watch charges reliably and doesn’t get disconnected. The previous magnetic charger just attached to the edge of the watch and could easily come free. Why buy the TicWatch E2? If you’re not looking to drop a lot of cash for a more premium Wear OS smartwatch, then you should consider the TicWatch E2. It’s still a good-looking smartwatch that’s well built, has good performance, good (albeit basic) exercise tracking, and has decent battery life overall. But you’ll need to look beyond the lack of NFC and be able to accommodate a big smartwatch. 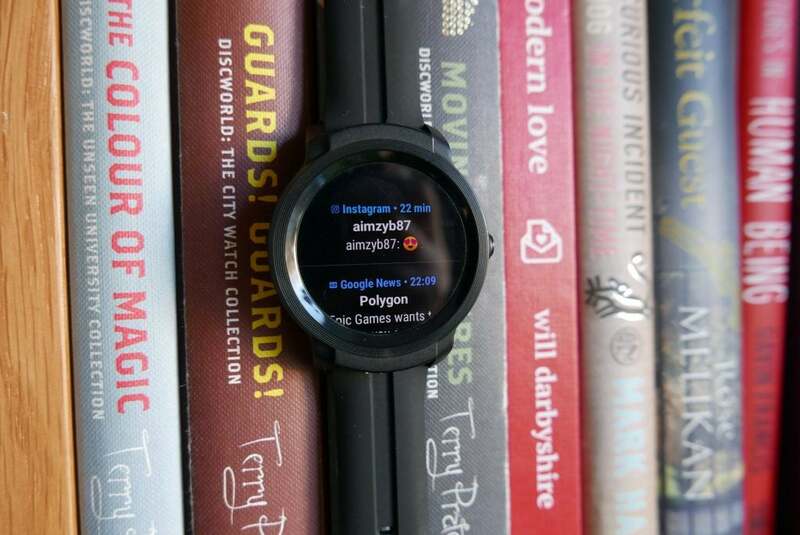 The post TicWatch E2 Review appeared first on Trusted Reviews.